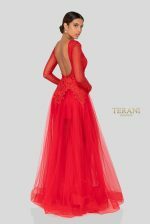 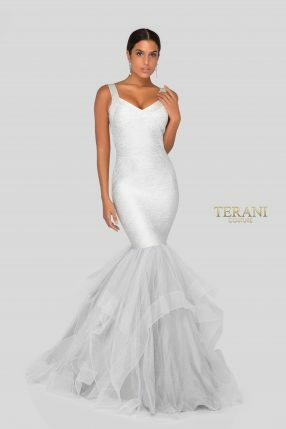 Here is an elegant beaded crepe dress by Terani Couture. 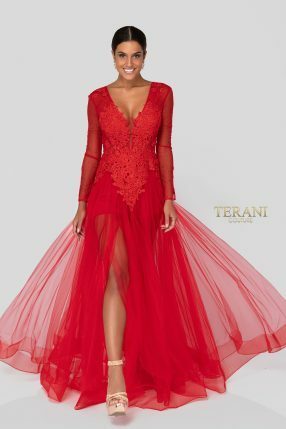 This stunning prom dress features an illusive off the shoulder, beaded bodice followed by a fitted floor length crepe skirt. 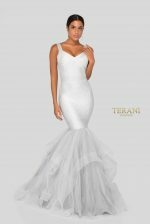 The skirt features an alluring thigh high leg slit.